There’s a lot of TV happening right now so we’ll forgive you for not being on the ball here, but in recently years the summer has seen new series debuting that are just as good as anything in the Fall line-up. No longer is it the dumping grounds for repeats and burning off old unloved series. Well, you might be watching this one on Netflix but we’re not hearing a lot of love for it, and it’s frankly brilliant. Inspired by the short-lived Glorious Ladies Of Wrestling show from the ’80s it tells a fictional story of an out-of-work actor (the wonderful Alison Brie) who makes a final bid for fame as she joins 12 other misfits, including a failed soap actress, the daughter of a wrestler, a strange goth and so on. Marc Maron plays the B-movie director trying to get the whole project up and running, and everything about this just works. From the period setting that isn’t laid on too thick, to the barely-concealed desperation of people desperate to entertain, this has the perfect tone and with each episode being a breezy 30 minutes you’ll fly though them. 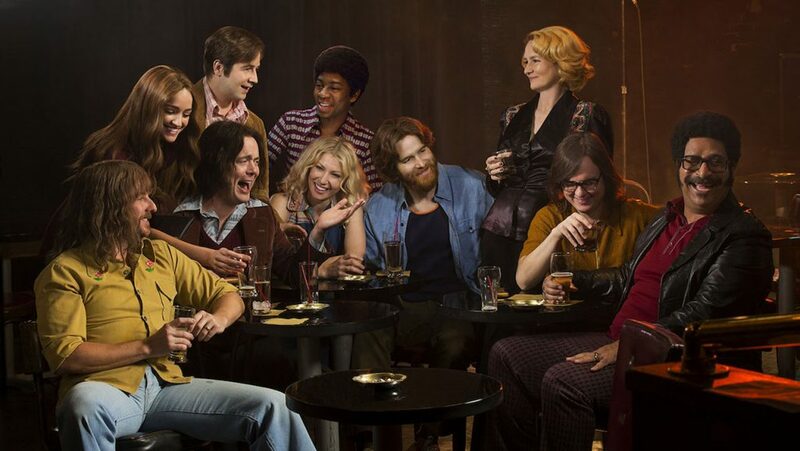 Set in the comedy clubs of Los Angeles in the early ’70s – and taken from William Knoedelseder’s true-life book of the same name – this dramedy follows a group of stand-up comedians working a club, scraping by and trying to get their big break on TV. Melissa Leo’s Goldie Herschlag, (clearly based on real-life club impresario Mitzi Shore) is great as the owner of Goldie’s comedy club on Sunset Strip and the “only runway to Carson”. Part den mother, part businesswoman she runs the place and deal with the motley group of regulars. It’s not an easy topic to cover and they clearly did the right thing by creating fictional characters rather than casting people to play the real life stars of that time – Jay Leno, Robbin Williams, Sam Kinison, etc, although Richard Prior appears in one episode and is impersonated pretty well. The cast is strong from Ari Graynor as a female comic trying to survive this male-dominated world to actual stand-up Al Madrigal as Edgar Martinez, a Mexican comic. The parts where they’re on stage work, but it’s best when it’s just them sitting around in a diner riffing on each other or going through all the hoops and hassle as they try to get noticed and land a potentially career-making spot on the Tonight Show. 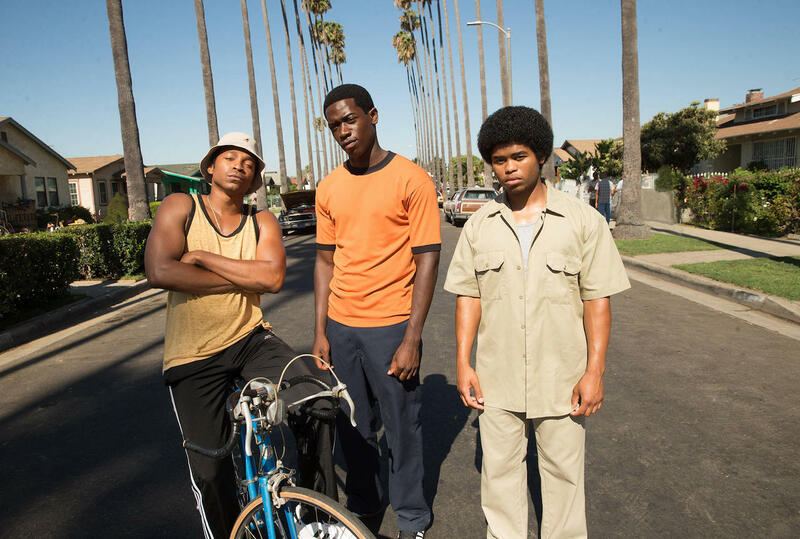 Set in Los Angeles in 1983, this comes from John Singleton (Boyz N The Hood) and charts the start of the crack epidemic in the city and it’s far-reaching impact on culture at the time. The story follows various people who are all playing their part in starting this dark time in the city’s history including a young street entrepreneur trying to make money, a Mexican wrestler caught up with a crime family, the daughter of a crime lord trying to start her own business and – perhaps most interesting of all – a CIA operative who begins an off-the-book op to sell the drugs and raise money to fund the Nicaraguan Contras. The notion that the Contras and CIA helped fund the crack epidemic in America is not a new idea and probably not fiction. Investigative journalist Gary Webb has published articles and written a book (Dark Alliance) about this. Where the series really work though is the depiction of South Central pre-epidemic and before it became an urban warzone. The period setting is really well done and if you enjoyed Narcos on Netflix then this should appeal to you. It’s a six part series and the first two have already been shown in America. It’s coming to the Middle East with OSN… but not until December, which is a strange delay, so if you can’t wait until then you’ll have to find other means of getting hold of it.